So moist and so good. What a great time of year, all the fresh fruit and vegetables are a cooks dream. I have been waiting on my Zucchini’s to get big enough to pick. Today was the day. 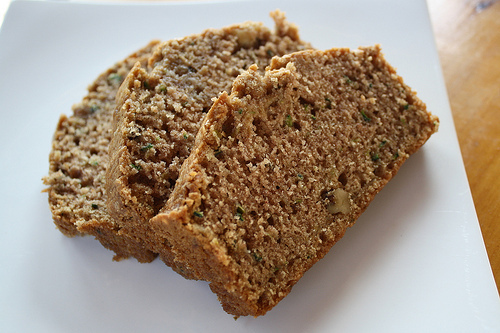 I hope you enjoy this simple recipe for zucchini bread. It is superb. the best and easiest zucchini bread ever. I also made it with bananas and as a carrot cake. try it and you will never go back to the old way of mixing wet and dry ingredients in separate bowls.